Jeremy is an associate attorney at Debt Advisors. He concentrates his practice in the areas of consumer Chapter 7 and Chapter 13 bankruptcy as well as assisting individuals in challenging burdensome student loan debt. 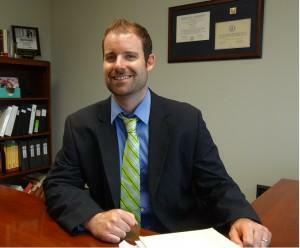 In the past, Jeremy has represented individuals across numerous areas of law and has extensive litigation experience. Jeremy has practiced consumer bankruptcy since he began practicing law in 2008. Jeremy believes the best approach to the practice of law is to work diligently on behalf of his clients and to take an honest approach when assessing their cases, and he makes those two pillars the foundation of his legal practice. He works hard for his clients to achieve the best possible results given each client’s unique situation. In addition to his law degree, Jeremy has an MBA from Marquette’s Graduate School of Management as well as a Sports Law Certificate from the National Sports Law Institute. Jeremy is licensed to practice before all Wisconsin state courts as well as the Federal District Courts for both the Eastern and Western Districts of Wisconsin. He currently resides in Brookfield, Wisconsin.